PASS Summit 2015: I am Speaking! SQL Server professionals are very strange. They live in their own world. They even have a calendar, which does not make any sense to the regular people. They call Spring as Abstract Time and spend days in the dark rooms writing abstracts for upcoming PASS Summit. Summer becomes either Time of Work and Happiness or Time of Sadness depending on the Call for Speakers results. Autumn is, obviously, Gathering Time – time when they meet their friends and #sqlfamily in Seattle. And, finally, Winter is Time of Memories and Stories – the season of neverending tales from the Summit – the season when they are boring other, non-SQL Server folks, to death. This year is Time of Work and Happiness for me. I just found that two of my abstracts have been selected, including the pre-con session. It is hard to express how proud and honored I feel and I want to thank Program Committee, PASS and all of you for your trust and support. Thank you, it means a lot! I am delivering the well known pre-con: SQL Server Internals: The Practical Angle. This pre-con explains how SQL Server components work under the hood and how their behavior affect your systems. 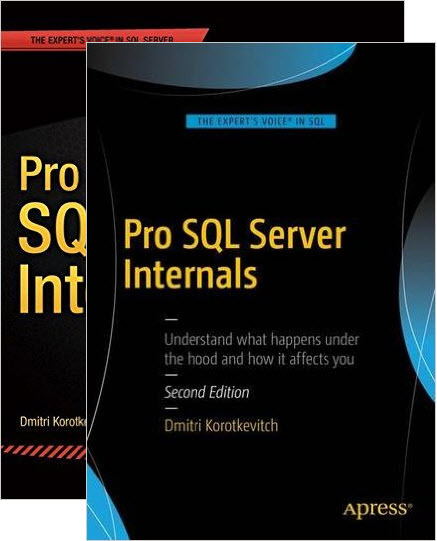 It is based on my book Pro SQL Server Internals or, to be exact, that pre-con inspired me to write that book in the first place. The second session, Thinking Outside of the In-Memory Box, talks about In-Memory OLTP and focusing how to address the surface area limitations of the technology in SQL Server 2014 and how to benefit from it even when migrations of existing systems are cost ineffective. There is also the book behind it. I really hope, I will see some of you in Seattle. I urge you to attend the Summit – especially, if you have never been there. Trust me, it is life changing experience – the one, which is impossible to forget. You will see our community in action, you will make new friends and, of course, you will learn a lot. This entry was posted in Announcements, General and tagged PASS Summit, Pre-Con on June 26, 2015 by Dmitri Korotkevitch. As with any new technology, adoption of In-Memory OLTP comes at a cost. You need to acquire and/or upgrade to SQL Server 2014, spend time learning the technology and, if you are migrating an existing system, refactor code and test the changes. Unfortunately, system refactoring can be complex and time consuming. 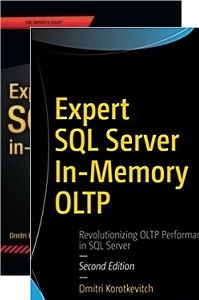 SQL Server 2014 In-Memory OLTP has several important limitations, which can dramatically increase the cost of migration. To name just few – it does not support off-row storage limiting you to 8,060-byte rows nor support CHECK, UNIQUE, FOREIGN KEY constraints and triggers. All those limitations can be addressed by schema and code refactoring; however, in some cases, that refactoring can require significant amount of efforts. Today, I would like to start the series of the blog posts discussing how we can address specific limitations that exist in the first release of In-Memory OLTP. I will start with supporting uniqueness and referential integrity in the system. Unfortunately, In-Memory OLTP does not allow you to define foreign keys nor unique indexes and constraints besides a primary key. Such limitation rarely prevents us from adoption of the new technology. Nevertheless, those constraints help to keep the data clean and allow to detect data quality issues and bugs in the code at early stages of development. To make matter worse, lock-free nature of In-Memory OLTP makes the code approach tricky. In-Memory OLTP transactions do not see any uncommitted changes done by the other transactions. For example, if you ran the code from Figure 1 in default SNAPSHOT isolation level, both transactions would successfully commit without seeing each other changes violating ProductName uniqueness. Fortunately, that situation can be addressed by using SERIALIZABLE transaction isolation level. As you remember, In-Memory OLTP validates serializable consistency rules by maintaining transaction scan set. As part of serializable rules validation, In-Memory OLTP checks for the phantom rows making sure that other sessions did not insert any rows that were previously invisible for the active transactions. Code below creates memory-optimized table and natively compiled stored procedure that inserts data there running in SERIALIZABLE isolation level. Any inserts done through this stored procedure guarantee uniqueness of the ProductName even in multi-user concurrent environment. The SELECT query builds transaction scan set, which will be used for serializable rule validation. That validation would fail if any other sessions inserted a row with the same ProductName while transaction is still active. Unfortunately, the first release of In-Memory OLTP does not support subqueries and it is impossible to write the code using IF EXISTS construct. 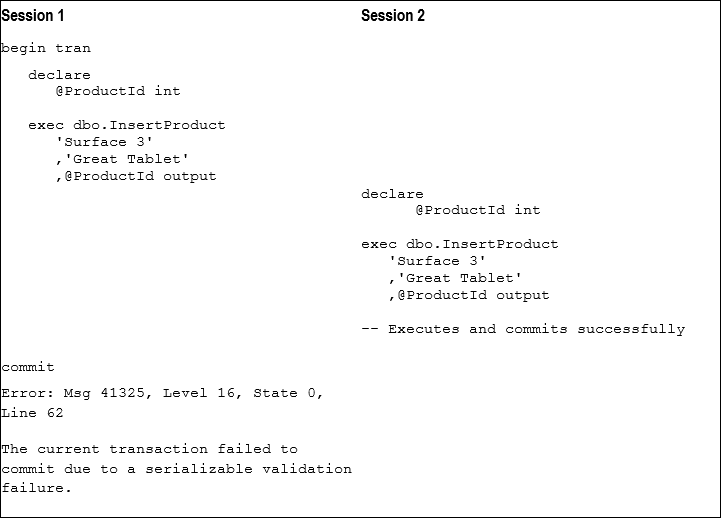 You can validate behavior of the stored procedure by running it in two parallel sessions as shown in Figure 2 below. Session 2 successfully inserts a row and commits the transaction. 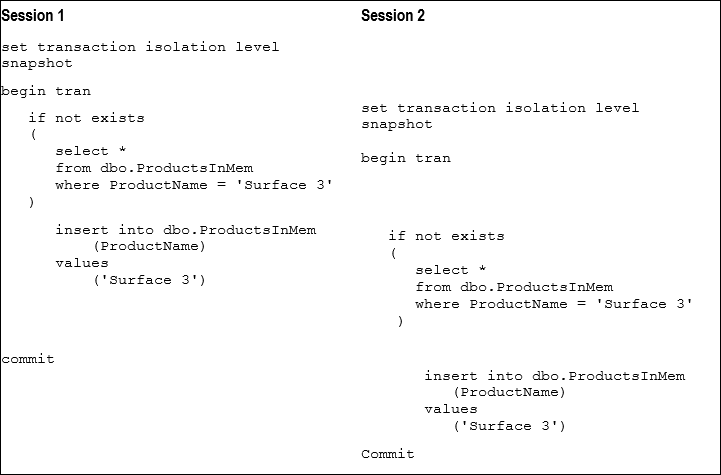 Session 1, on the other hand, would fail on commit stage with Error 41325. Obviously, this approach would work and enforce the uniqueness only when you have full control over data access tier and have all INSERT and UPDATE operations performed through the specific set of stored procedures and/or code. INSERT and UPDATE statements executed directly against a table could easily violate uniqueness rules. However, you can reduce the risk by revoking INSERT and UPDATE permissions from the users giving them the EXECUTE permission on the stored procedures instead. You can use the same technique to enforce referential integrity rules. Code below creates Orders and OrderLineItems tables and two stored procedures InsertOrderLineItems and DeleteOrders enforcing referential integrity between those tables. I am omitting OrderId update scenario, which is very uncommon in the real life. It is worth noting that InsertOrderLineItems procedure is using REPEATABLE READ isolation level. In this scenario, we need to make sure that referenced Order row has not been deleted during the execution and REPEATABLE READ enforces that introducing less overhead than SERIALIZABLE isolation level. 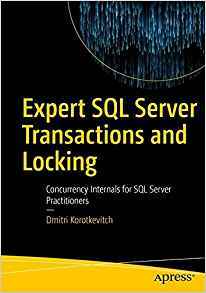 This entry was posted in Client Development, SQL Server 2014 and tagged In-Memory OLTP on June 23, 2015 by Dmitri Korotkevitch.